Intel® Core™ i7/ i5 / i3 series processors (L3 Cache: 3 MB ‐ 8 MB, Intel® Turbo Boost Technology) are supported. The user must not replace or expand the CPU capacity arbitrarily. The CPU capacity differs depends on model type. Intel® Turbo Boost Technology may not be supported in some CPU models. Maximum Capacity: Each slot is 2048 MB and can be expanded to 4096 MB. To use two 2 GB memory cards, the machine must run on 64 bit OS. 32 bit Windows Vista®/XP/Windows® 7 OS does not support 4 GB memory. When you use two memory slots, make sure to use the memory from the same company. The hard disk capacity and the type depend on the notebook PC model. Some models are equipped with the Glare‐type LCD featuring enhanced sharpness. This type of LCD appears to glare more than other types, but it is a normal phenomenon in the Glare type. 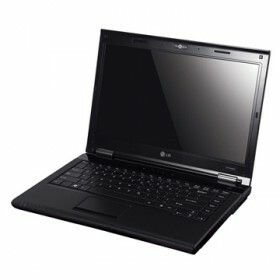 The size and the resolution rate of the LCD depend on the notebook PC model. Bluetooth is optional, and so it may not be installed in some models. Web Camera is optional, and so it may not be installed in some models. TurboCache ‐ This technology actively utilizes part of the System Memory when processing large graphic data like 3D graphics. The size of the utilized memory is determined by the Video Memory and System Memory sizes. If TurboCache technology is applied to the Graphics Memory, the System Memory can allot up to 576 MB out of 512 MB and up to 2815 MB out of 4096 MB for large graphic data. The DVMT actively utilizes part of the system memory when processing large graphic data like 3D graphics. Therefore, the size of the graphic memory is displayed as the sum of the actual graphic memory size and the utilized amount of memory, which is decided by the size of system memory. The specifications may differ depending on the model type and the video driver. Realtek High Definition Audio Codec(ALC272) HDMI is supported. Specifications may differ by model type. The support availability may differ by model type. Wireless LAN specifications may differ by model type and cannot be arbitrarily changed by the user. Weight descriptions may differ by model type.